These are truly the glory days of August. My garden is flushed with delicious vegetables. Let me not squander the days away with stinking thinking, bad attitude, foul mood or low blood sugar. Afternoons can be treacherous. 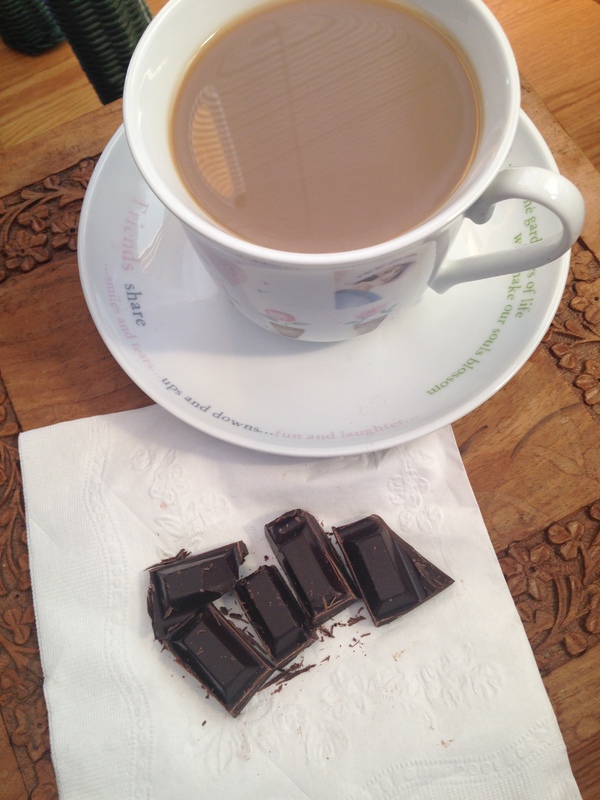 A cup of tea and a couple of chocolates to make me more agreeable. It does not help that Sheba is dogging in my footsteps wherever I go. Possibly she is also seeking sugar replacement. Mornings are the best for setting intentions. And so I sat with Melli O’Brien and Tami Simon of Sounds True and learned about total body breathing. It is an episode from the Mindfulness Summit, October 2015. Today I am focused on learning to enjoy the process of sewing a blouse – being patient and deliberate with each step. In the past, I have rushed through to the end product, missing the beginning and the middle – missing the joy, missing a lot. Now I see it is really not my stinking thinking or low blood sugar. It is really a storm brewing in my head. It has just burst open. I’m tap, tapping to the rhythm of pounding rain on the aluminum roof of the deck. It is very strange and beautiful. The rain came raging out of nowhere. I am very fortunate to have this wonderful space to sit and watch, surrounded by it all. The rain have passed. I can show you the glory in the garden. Come, let me show you. It is my rainbow after the rain. 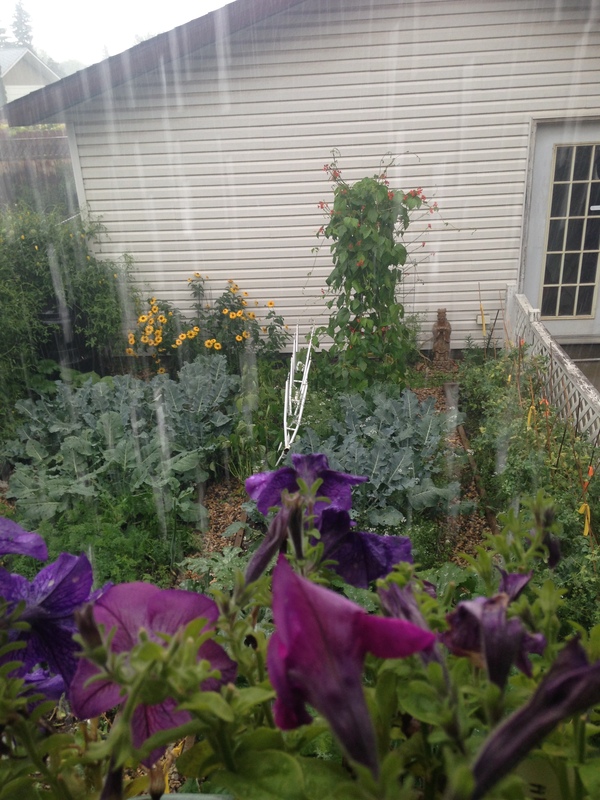 This entry was posted in Uncategorized and tagged a year of changes, day 13, gardening, glory days of August, intentions, joy of sewing, life, rain, rainbow, steps, writing. Bookmark the permalink.